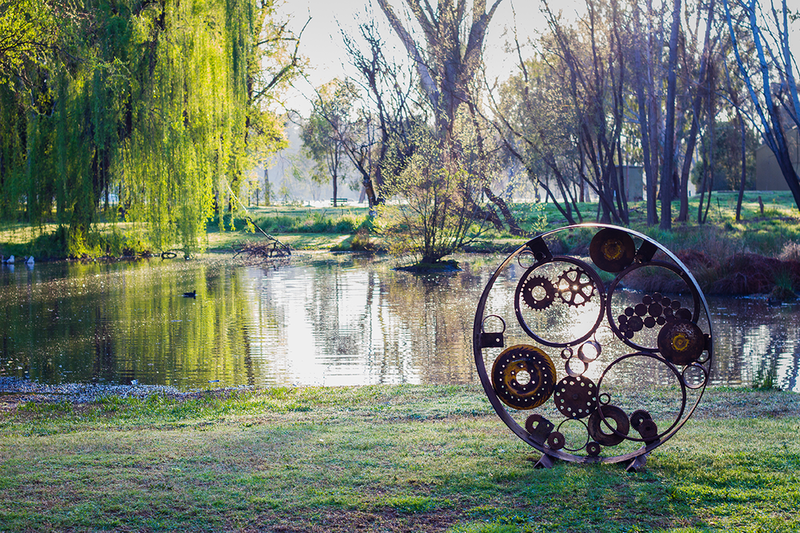 Lanterns on the Lagoon & Sculptures in the Park was held for the first time at Tumut 2011. Community feedback was overwhelming to see this become an annual event. Sculptures in the Park 2017 is open to all artists, established, emerging, novice, students and schools. Construction needs to be from salvaged, recycled or natural materials. These Recycled sculpture/artworks will be scattered throughout the park.They are to be displayed during the day and into the night. Ideally large, waterproof and of sturdy construction. Incorporating solarpowered lighting is encouraged.